Who of any mature age, doesn’t know Jules Verne’s Twenty Thousand Leagues Under the Sea, published in 1870. 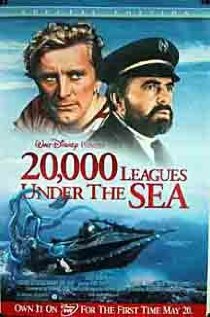 I think I was introduced to it via the movie that starred Kirk Douglas as Ned Land and James Mason as Captain Nemo. Peter Lorre was in it to. I just found out it was released in 1954. I probably saw it on TV in the 60’s. And who doesn’t know Journey to the Center of the Earth (1864) or the ever popular and much copied Around the World in Eighty Days (1873). They had movies made of them as well, if I’m not mistaken (quite a few of the latter). What an imagination he had! I’m sure his submarine, the Nautilus, was much improved from the submarines of his day. (Ah – the joys of fiction!) They were all very creative stories, though I’m sorry to say, I don’t think I’ve read a single one! I’m going to put them on my “to read” list right now! 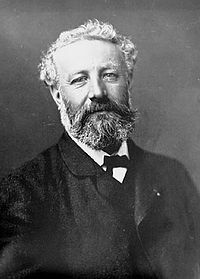 Jules was born February 8th, 1828 in Nantes, France as Jules Gabriel Verne and died from complications of diabetes in 1905 at the age of 77. He had one son, Michel, and two step-daughters. His stories were first published in French. I don’t know when they were translated to English. When I think of these more famous Verne stories I also think of H.G. Wells who was younger than Verne. Herbert George Wells was born in 1866 and died in 1946 and was English. I have a book of Wells’ that was my father’s. It was given to him by his good friend I.R. Howlett in 1955. Howlett got it from a mutual friend by the name of Ray Hadwick when he enlisted as a radio technician in 1940. My father gave it to me in 1985 because he knew I would enjoy it. 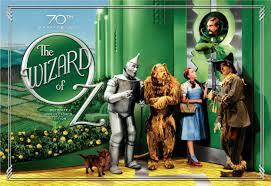 It was published in 1937 and is titled The Famous Short Stories of H.G. Wells. It has the Time Machine in it and 62 other short stories. Wow, Wells was prolific! 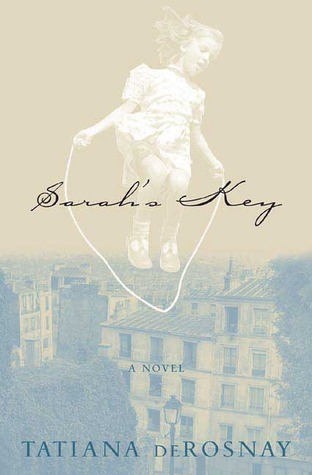 I recently finished reading Sarah’s Key, and for the wait I had getting it through the library, I was a bit disappointed. It was an okay story, an interesting story, but I had trouble getting past the writing; it wasn’t the best. I have struggled with how to describe the writing, what was wrong with it, and I’m still not sure I’ve come up with a good adjective, but my best description is unimaginative or slow. The other thing that bothered me is the dialogue at times was not believable. It just distracted from the interesting story. I don’t know if Titania is French, but the whole story seemed like it was written as an apology from the French people (not a bad thing, considering what happened, but it got a little old). The story is about a French-Polish family in Paris (parents are Polish, children are French) that get picked up one July in 1942, taken with a group of others to an arena, kept there in deplorable conditions then shipped out to a concentration camp, ultimately to be killed. This incident is particularly deplorable because the children were separated from their parents and because so many children were killed. The author makes the story interesting, and not just another sad holocaust tail, by putting in present day and tying it to woman reporter who is asked to write about the incident for the 60th anniversary of the event and her family. As I said, it is a good story, just not written very well. Of course, I’m glad for the author that it’s doing well, and they even made a movie out of it (which I haven’t seen), but I think non-writers will enjoy it more than writers. 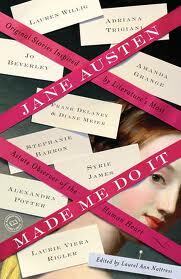 They also mention an adaptation BBC film of Emma (2010), which I have seen and would recommend to any Austin fan. So if you’re an Austin fan, head over to Historical Tapestry for a quick fix. One should never do anything you can’t discuss after dinner. To get back my youth, I’d do anything, anything in the world except take exercise, get up early, or be respectable. The only downfall to the story is that Henry doesn’t really get his comeuppance unlike poor Basel. 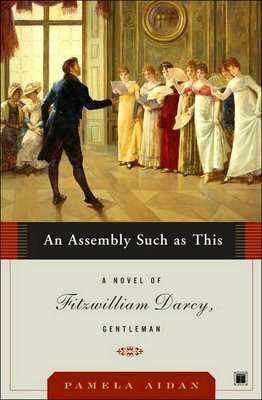 If you haven’t read it in a while, it’s definitely worth the re-read. This is a classic. A must read. 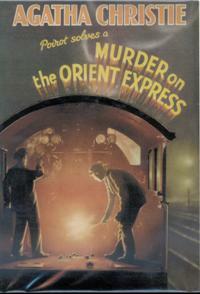 Agatha Christie does a great job of setting up and doling out the facts/clues of this murder and all on a moving train! The movie version of this done in 1974 is a classic as well. It reads as a who’s who in Hollywood: Sean Connery (sigh! ), Ingrid Bergman (great dowdy, German spinster), Anthony Hopkins, Vanessa Redgrave, John Gielgud (butler, of course), Jacqueline Basset (I love her clothes)… and the incomparable Albert Finney as Hercule Poirot – his character is masterfully done, as is the old woman played by Wendy Hiller. I love that thing she does with her mouth! You need to read it and see it if you haven’t! Read it first, of course. Don’t worry, it doesn’t spoil the movie. That is a feast for the eyes.